Today is the day we’ve all been waiting for. 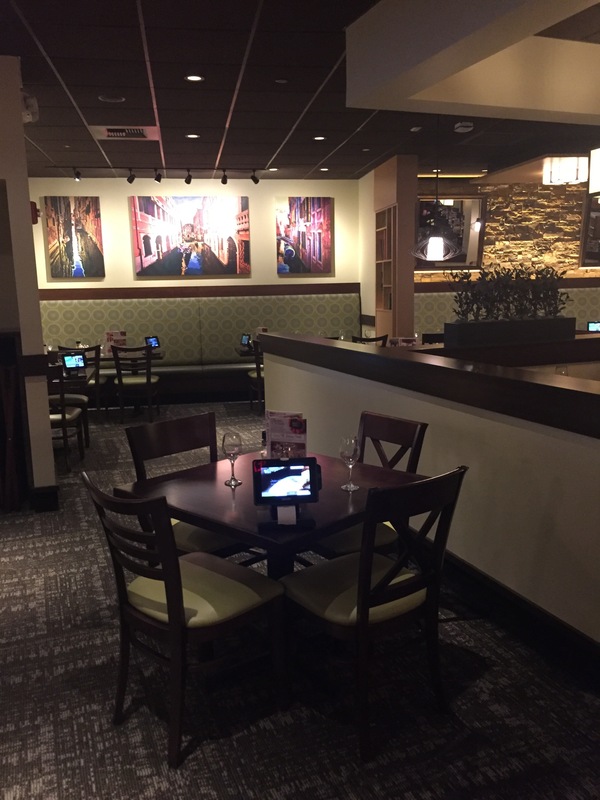 It’s the grand opening of Olive Garden in Harlem at 100 W. 125th St. If you grew up in Harlem like I did you know how Harlem used to look and what a big difference it is now. Who would ever think we would have a Olive Garden in Harlem or for that case any of the stores and restaurants that are there now? If my father, great grandmother and grandmother could see it now. 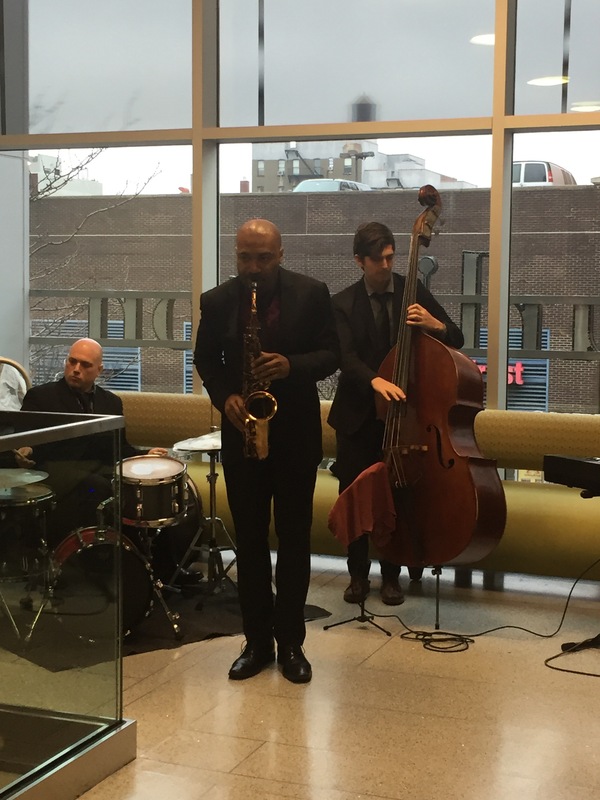 Yesterday, December 12 was the ribbon cutting ceremony and city officials, in partnership with The Greater Harlem Chamber of Commerce. 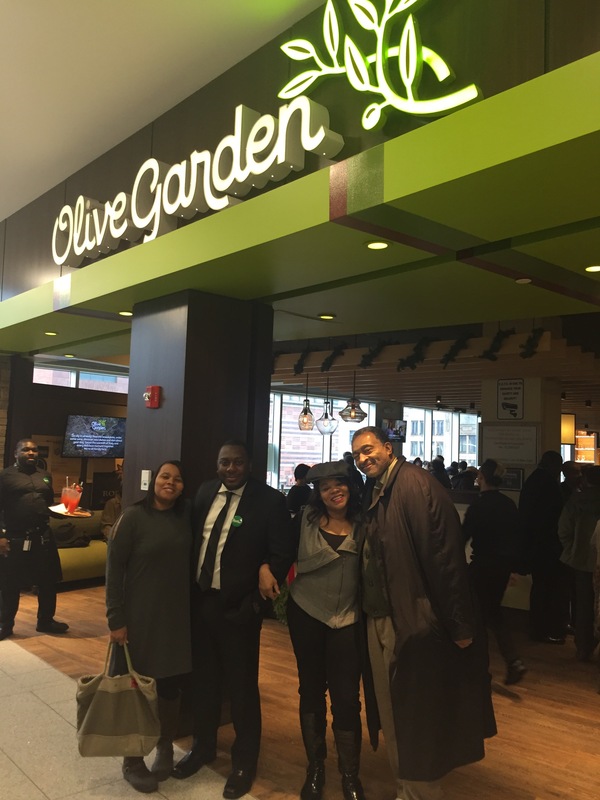 came out and supported General Manager, Daryl Cunningham whose been with Olive Garden for 12 years. 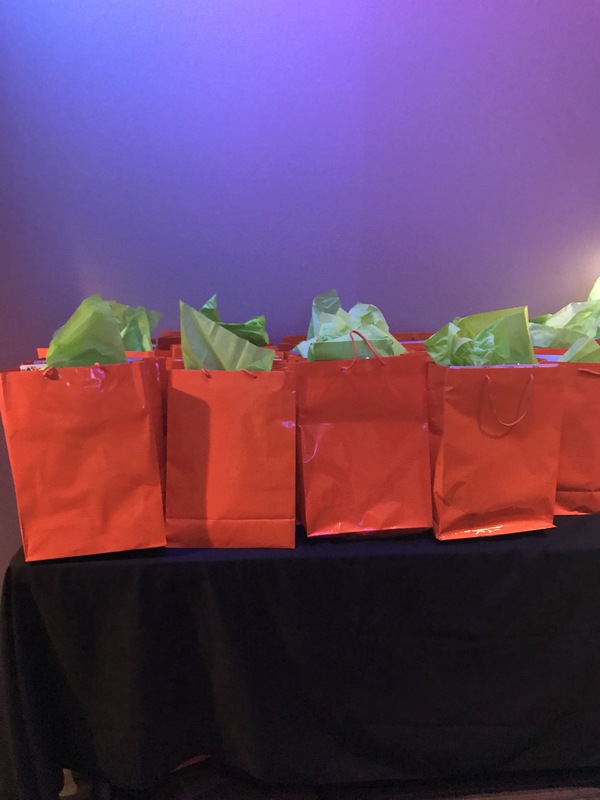 There was a live band, food and great conversation wishing Daryl success and supporting the restaurant by coming back to dine with friends and family. It was a great turn out. 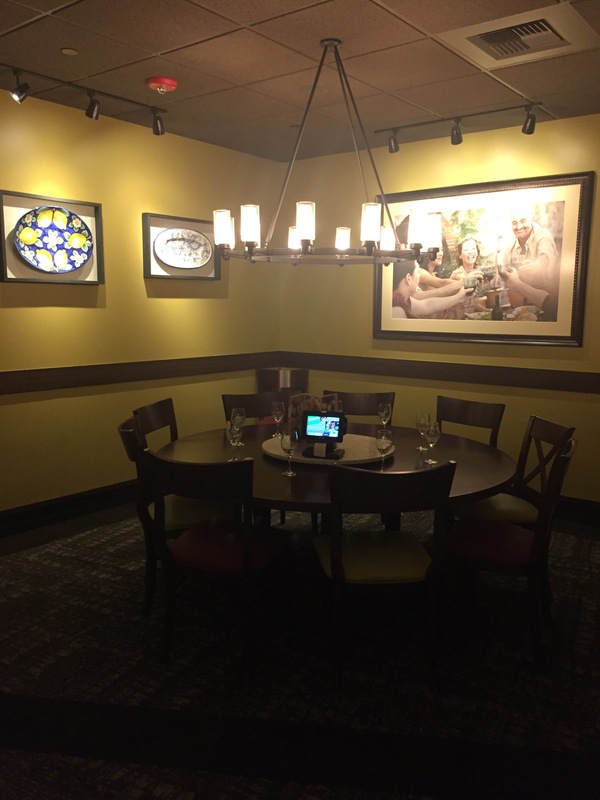 The new restaurant will feature an updated design with new artwork, fabrics and materials, lighting, seating, countertops and flooring, as well as a display of the new “Olive Garden Italian Kitchen” logo sign. The 10,000-square-foot restaurant will accommodate more than 300 guests and will create more than 170 new jobs for the surrounding community. 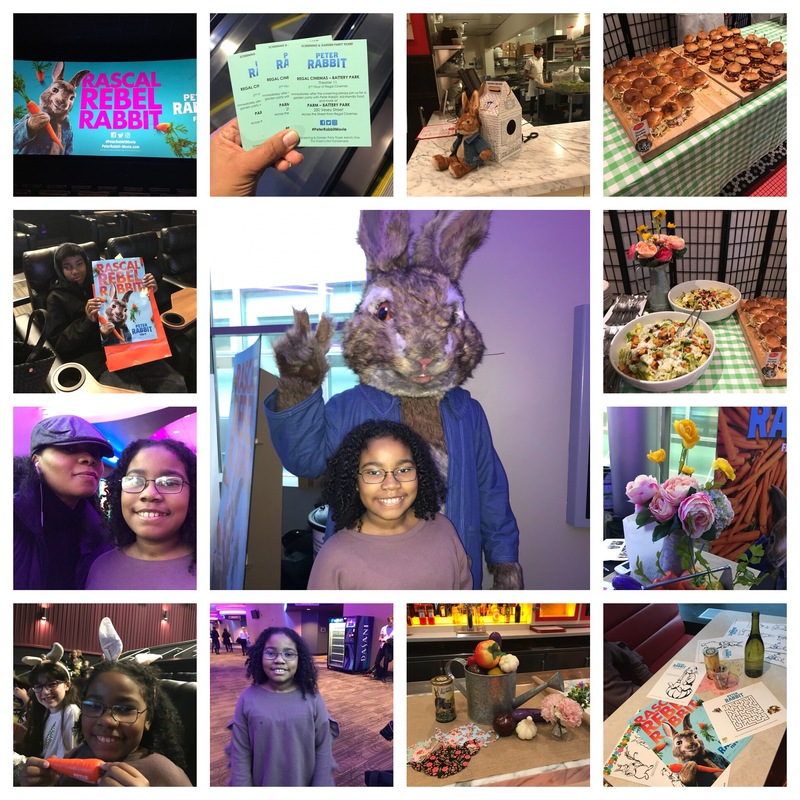 Prior to the opening, the Harlem Olive Garden restaurant hosted Friends and Family events with free meals and proceeds benefiting the Boys and Girls Club of Harlem. 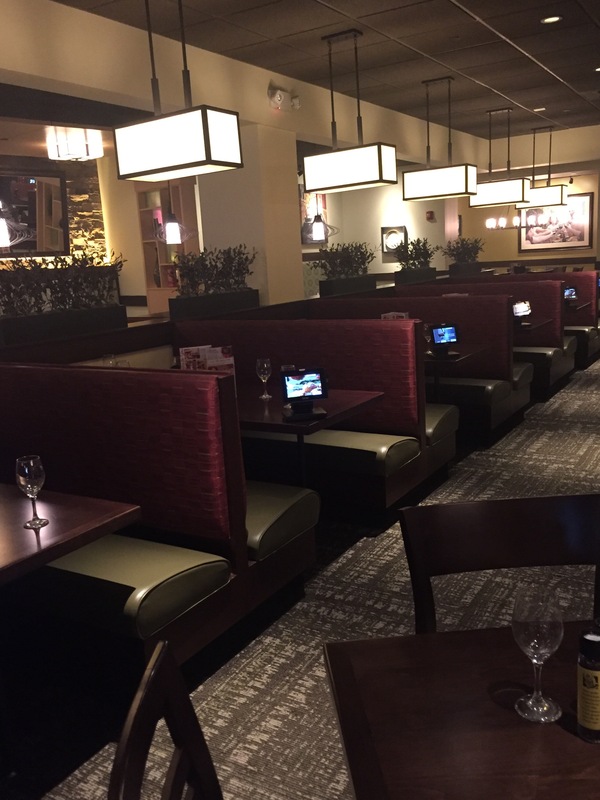 The Harlem restaurant, Olive Garden’s third location in New York City, features 19 bar tables, more than twice the number in a typical Olive Garden. It also has an elegant wine wall that reinforces the integral role wine plays in Italian dining. 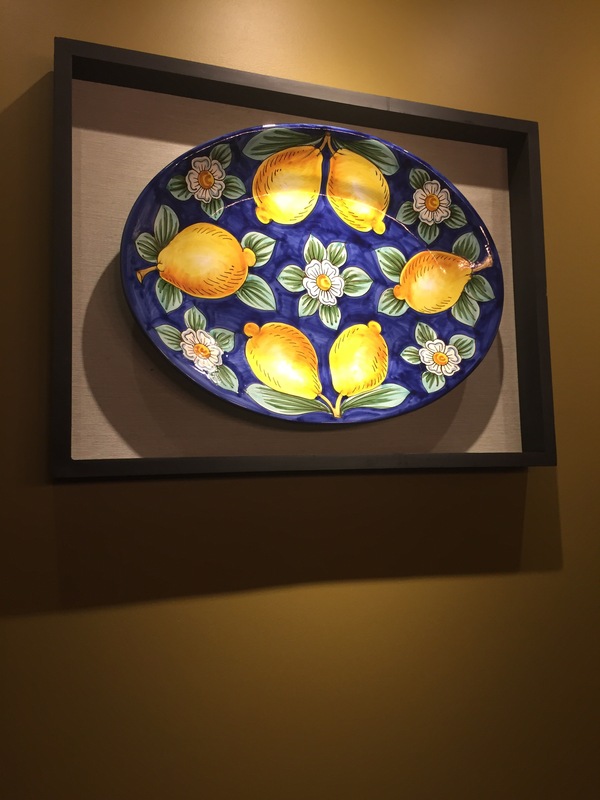 Olive Garden’s menu continues to feature guest favorites, such as the Lasagna Classico and unlimited Soup, Salad and Breadsticks, as well as new Lighter Italian Fare dishes, like Shrimp Scampi and Chicken Piccata, inspired by the Mediterranean region of Italy. 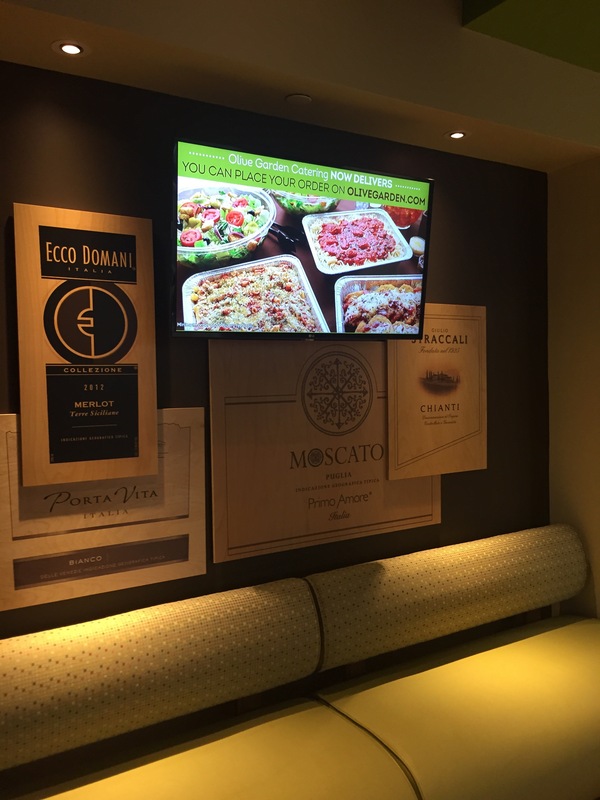 Additionally, guests can enjoy new innovations, such as the Grilled Chicken Piadina and the Spicy Calabrian Chicken Breadstick Sandwich. 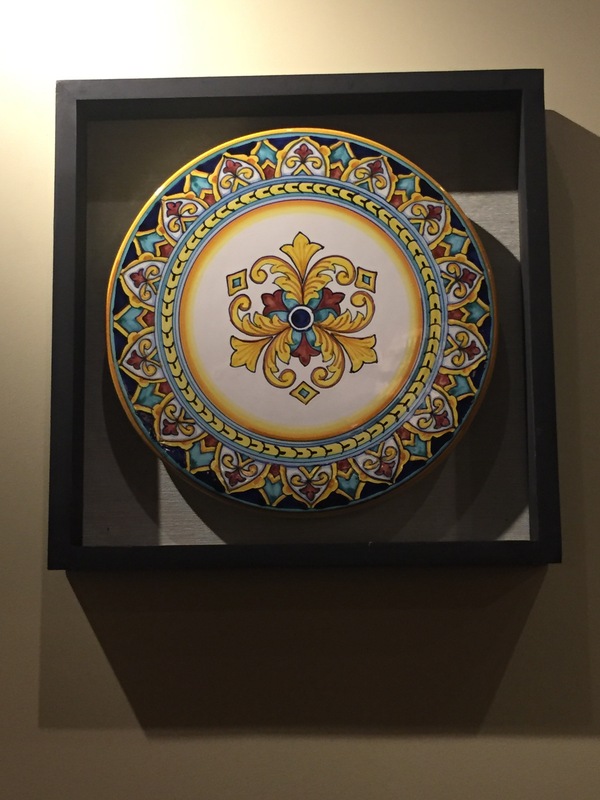 I have quite a few favorites to share with you when you come to the restaurant. 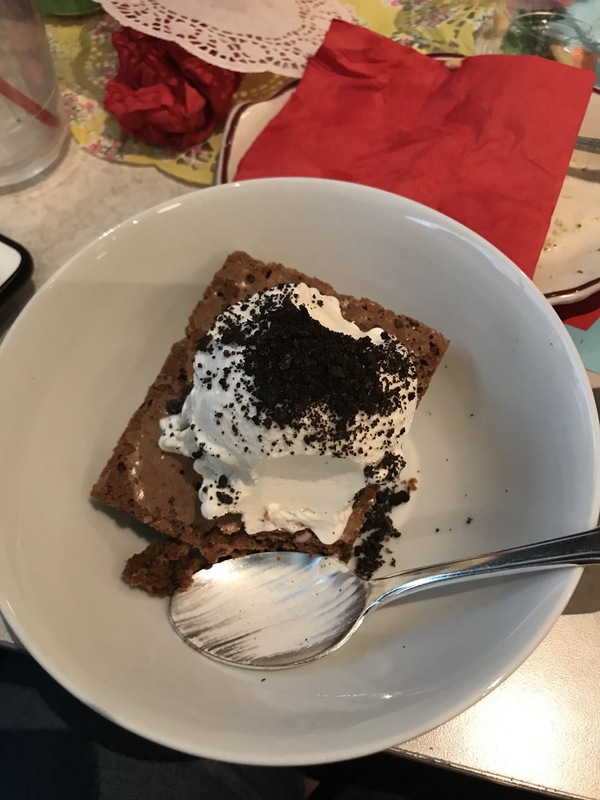 Just ask me and don’t forget dessert. 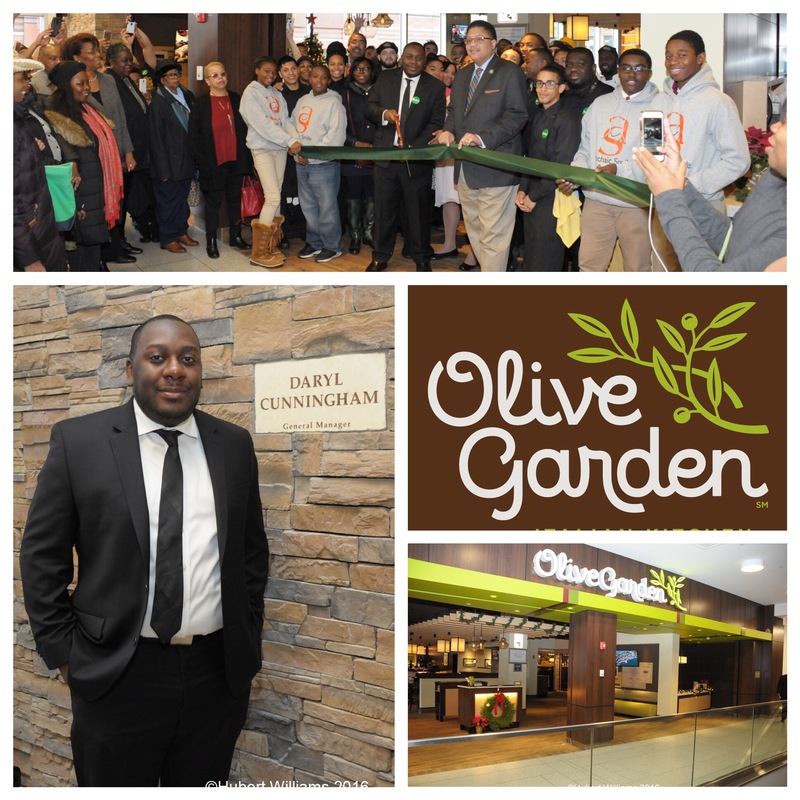 I attended another event Olive Garden had in the summer on the High Line and that’s where I met Daryl Cunningham. He mentioned Olive Garden was coming to Harlem and I told him I would love to be part of the restaurant and applied for a job and now I am proud to be a Certified Host. So come bring your family and friends and join us. 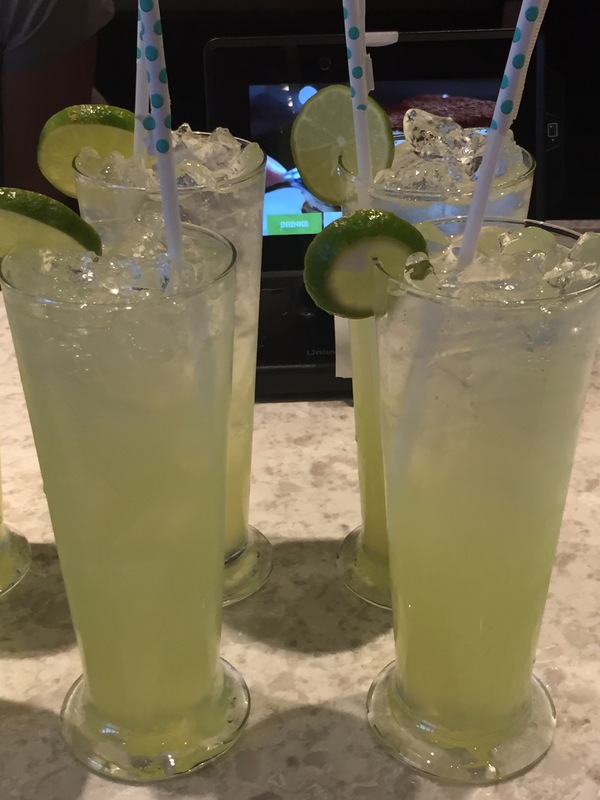 Experience a family friendly restaurant, very delicious food, great ambience and the best friendly staff and service you ever had. 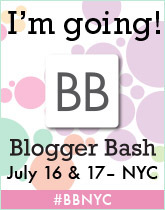 Disclosure: I was invited to attend this event. This is not a compensated post. Opinions are mine 100% as always. My employment with Olive Garden did not have an influence on my opinions. 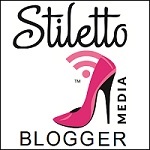 I am writing this post as a blogger. Some pictures courtesy of Hubert Williams. 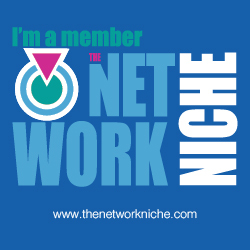 Categories Blogger Event, Family, Food, Invitational Event, Restaurant, Restaurant Openings, What's Going On? On August 15, Barone Fini wines will partner with I Trulli Enoteca e Ristorante, located at 122 East 27th Street between Lexington and Park Avenues, to bring a taste of Ferragosto to the United States. 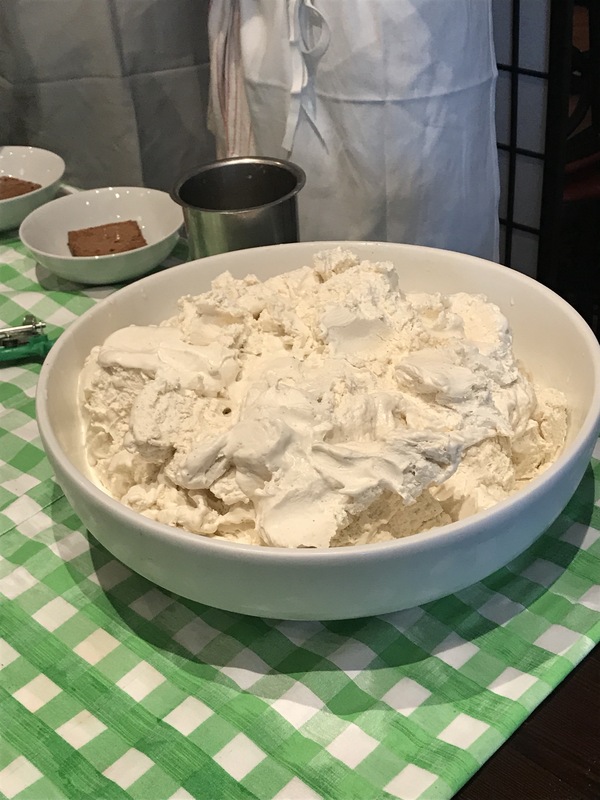 Ferragosto is an annual Italian holiday celebrated on August 15; I Trulli and Barone Fini have created a celebratory menu in honor of this tradition. For every glass of Barone Fini wine that’s poured, 100% of the proceeds will be donated to The Food Bank For New York City. Ferragosto originated as a celebration of the Italian harvest. 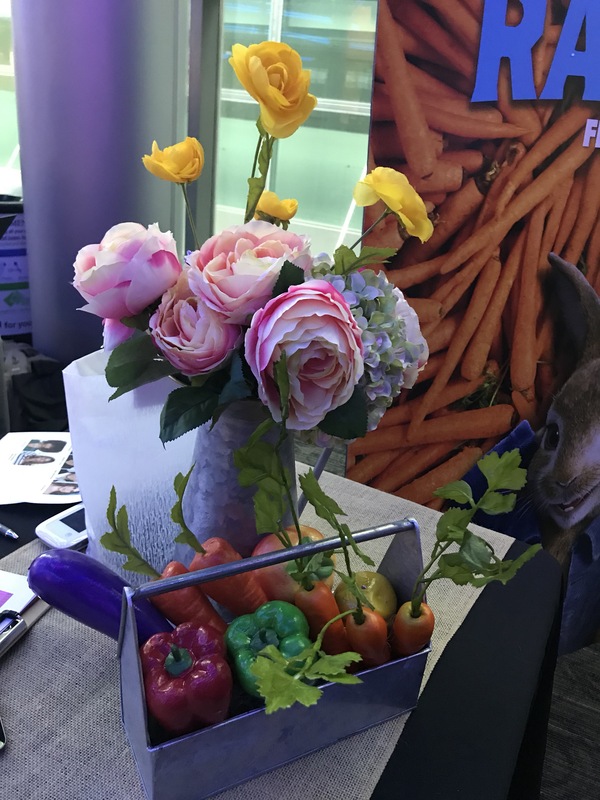 Enjoyed by peasants and aristocrats alike, the festival gave everyone the opportunity to gather together, break bread, and enjoy the fruits of the labor season. Today, Ferragosto is celebrated on August 15th marked with parties, abundant feasts, and fireworks. 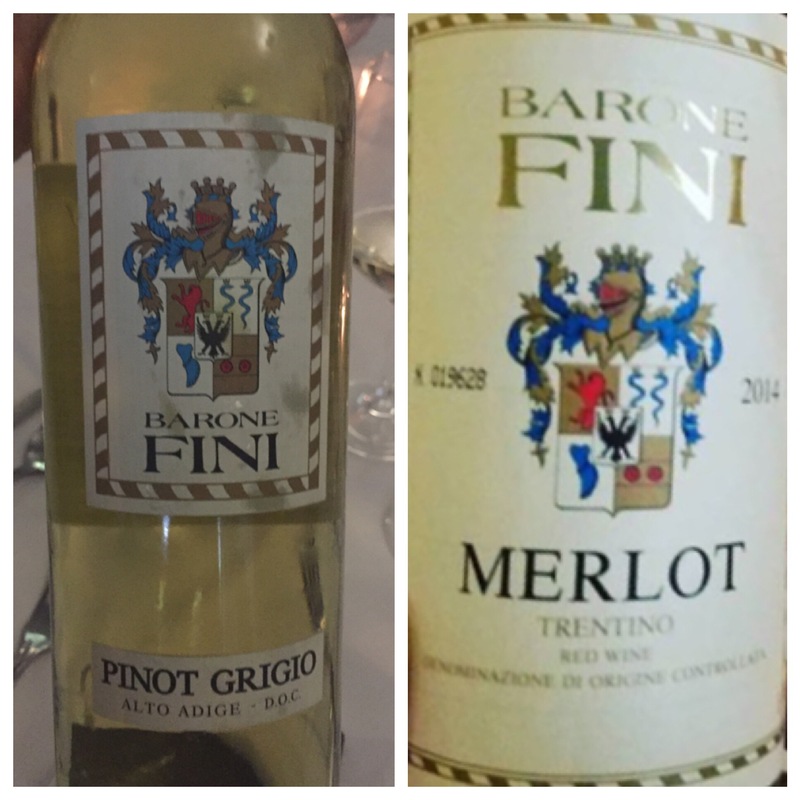 Barone Fini dates back to 1497 when two noble Venetian families (Bonmartini and Fini) united in marriage and began producing wine. Today, 15th generation family member Giovanni Bonmartini-Fini serves as President of Barone Fini, overseeing the winery’s production, including the winery’s hand harvesting and sorting to produce quality Italian wines at an affordable price point. 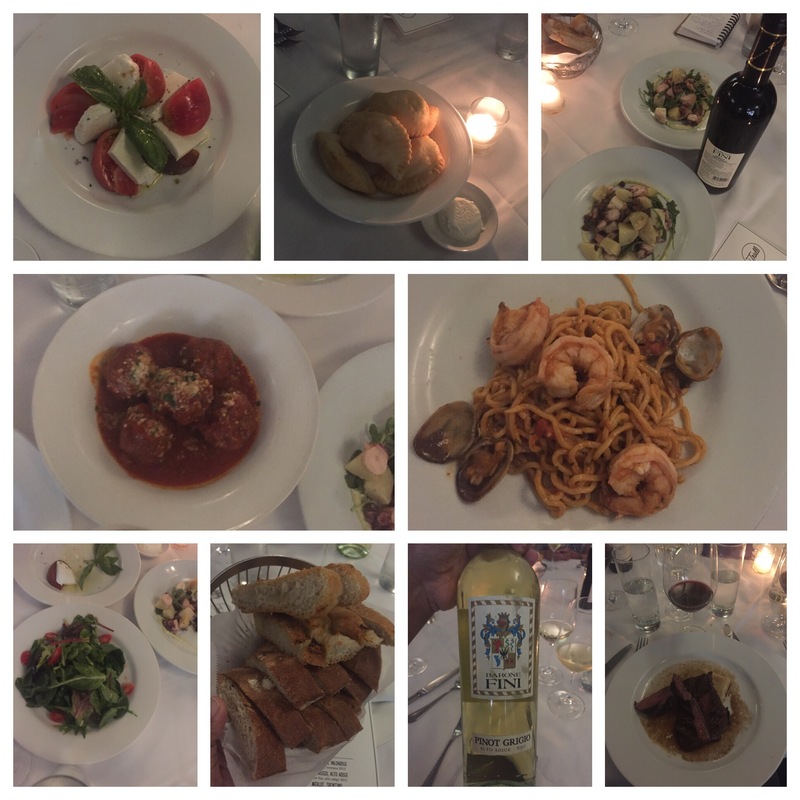 I Trulli Enoteca e Ristorante is one of New York City’s landmarks of fine Italian dining. 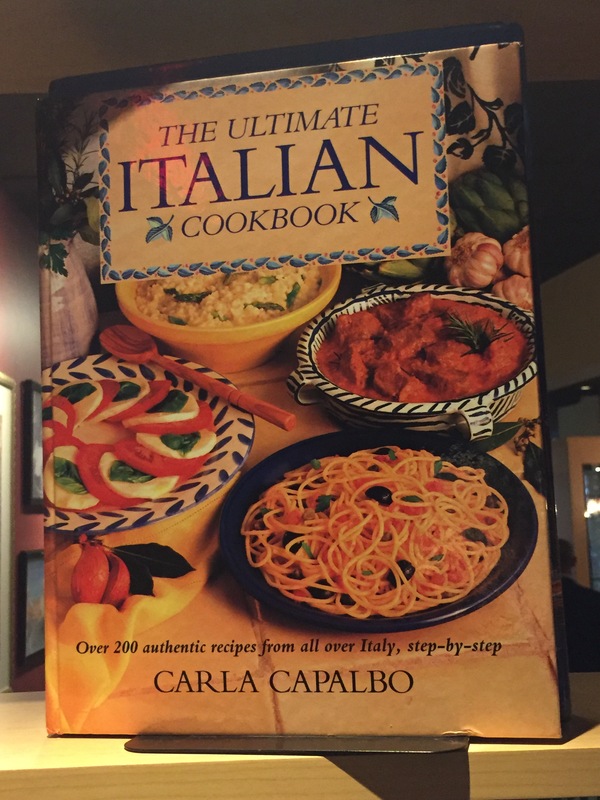 Its wine list features more than 450 Italian labels personally selected by owner Nicola Marzovilla, and the pasta remains hand-rolled daily by matriarch Dora Marzovilla. On August 15, I Trulli will feature some of its finest foods paired with Barone Fini wines with a specially-curated menu to commence the Ferragosto celebration in NYC. The four-course menu will be $58, plus $10 per glass of Barone Fini wine. 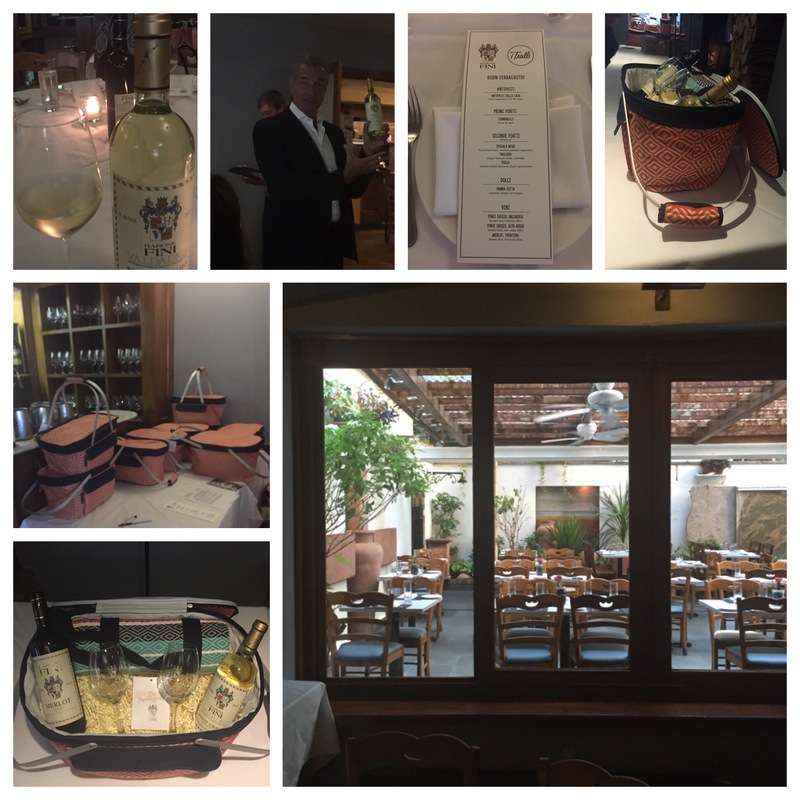 I was invited to I Trulli to a wine tasting and enjoy authentic pasta and learn about Barone Fini wines. I just have to say I really enjoyed this special day and the delicious meal and wine. It was a pleasure meeting everyone. 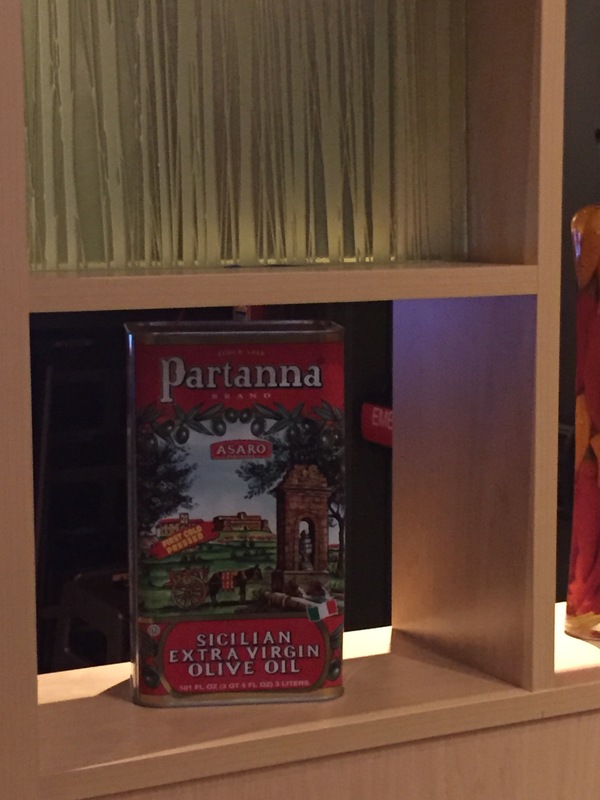 It is also great to see 100% of the proceeds from every glass of Barone Fini wine that is poured will be donated to The Food Bank For New York City. August 15th where will you be? Hopefully enjoying great wine and food at I Trulli Enoteca e Ristorante. 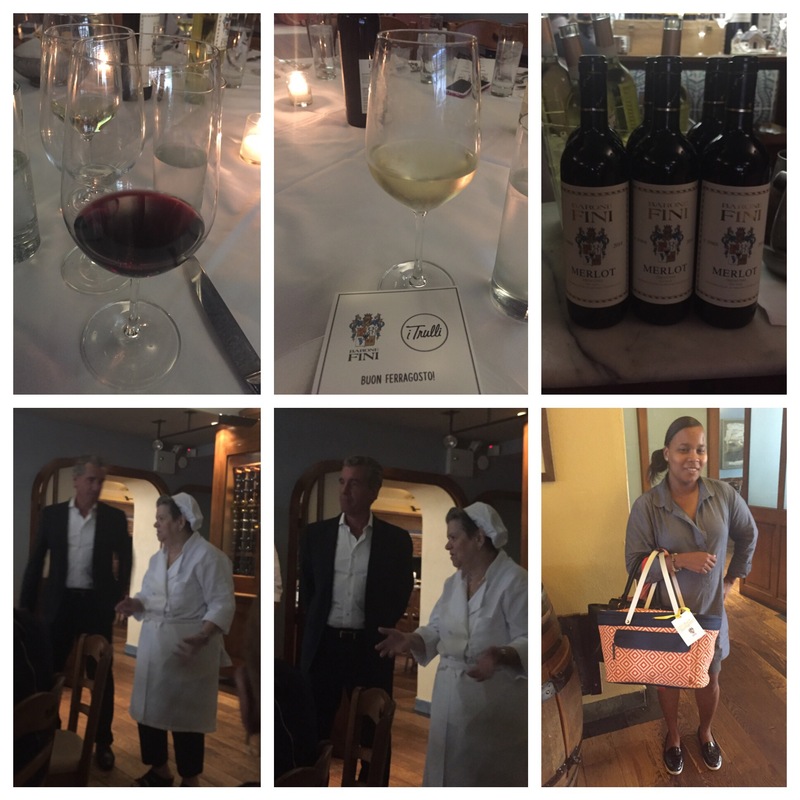 Disclosure: I was invited to attend this amazing press event at I Trulli. Opinions are mine 100%. Swag was given. Categories Blogger Event, Cooking, Family, Food, Invitational Event, Restaurant, What's Going On? Who knows what famous franchise this phrase is attached to? You all should. 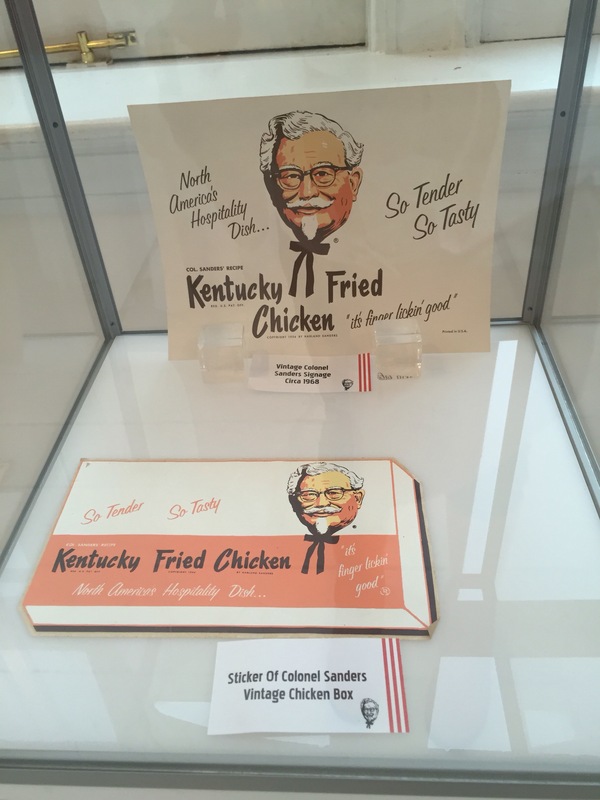 Kentucky Fried Chicken better known as KFC has been a family favorite for a very long time. Every week my family enjoyed KFC and till this day we still do. 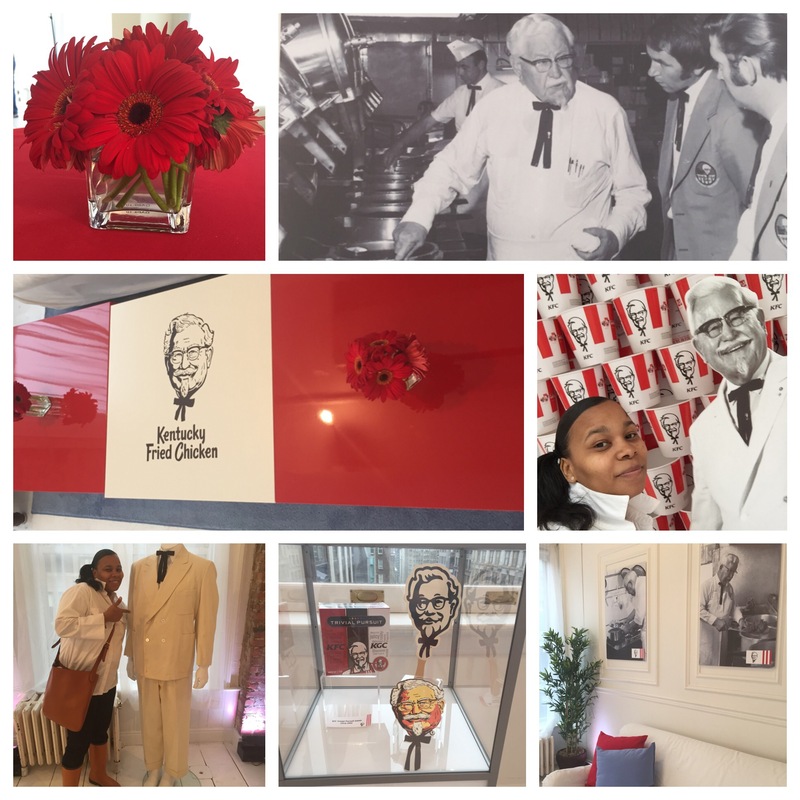 LOUISVILLE, Ky. – April 4, 2016 – In a major announcement today, Kentucky Fried Chicken® made a public recommitment to the standards set forth by founder Colonel Harland Sanders in 1952. 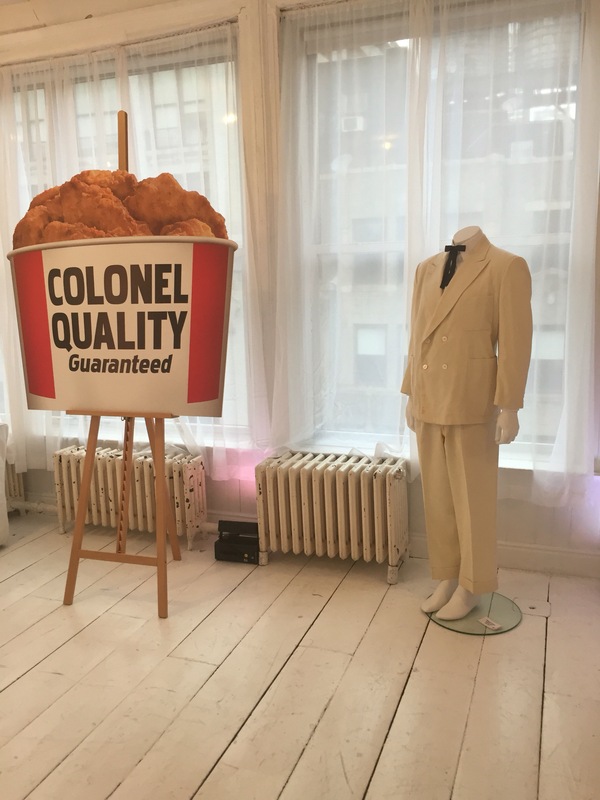 The changes enable KFC to offer a taste guarantee today in all of its U.S. restaurants called the “Colonel Quality Taste Guarantee.” The announcement was made at an event in New York, led by KFC U.S. President Jason Marker. “To everyone who grew up with the familiar taste of KFC and has turned away from us in recent years, you can come back again,” said Marker. “KFC is getting back to the way our founder made chicken – The Hard Way – the right way. We’re ensuring every KFC cook understands the Colonel’s once patented process that helped make KFC the world’s most famous chicken.” The changes – which the company is calling “Re-Colonelization” affect every one of the more than 4,200 U.S. KFC locations and include: Chicken Mastery Certification – The food in every KFC restaurant is cooked by real cooks, freshly prepared in store every day. 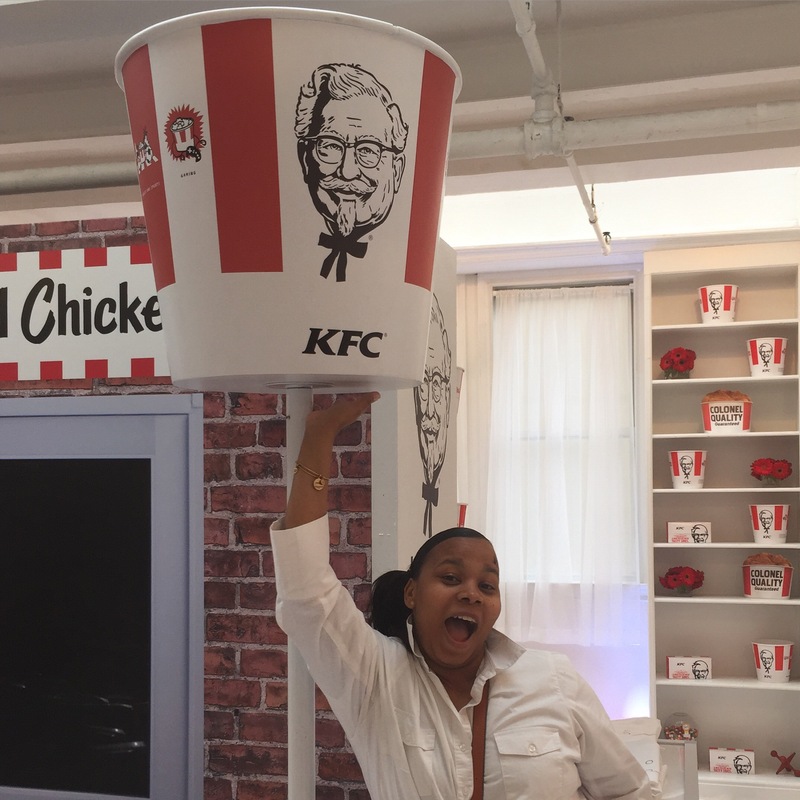 To help ensure consistent training across the country, managers and cooks underwent re-certification in KFC’s “Chicken Mastery” program, retraining them in the 25- minute process for prepping and cooking Original Recipe chicken. The process starts with quality chicken raised on U.S. farms, which is hand breaded and seasoned with the Colonel’s Secret Recipe of 11 herbs and spices and then pressure fried. Colonel Quality Taste Guarantee – KFC stands behind the changes it has made, and to show its commitment to doing things The Hard Way has instituted the “Colonel Quality Taste Guarantee,” which promises customers will be satisfied or the restaurant will remake the portion of their the meal they didn’t love. 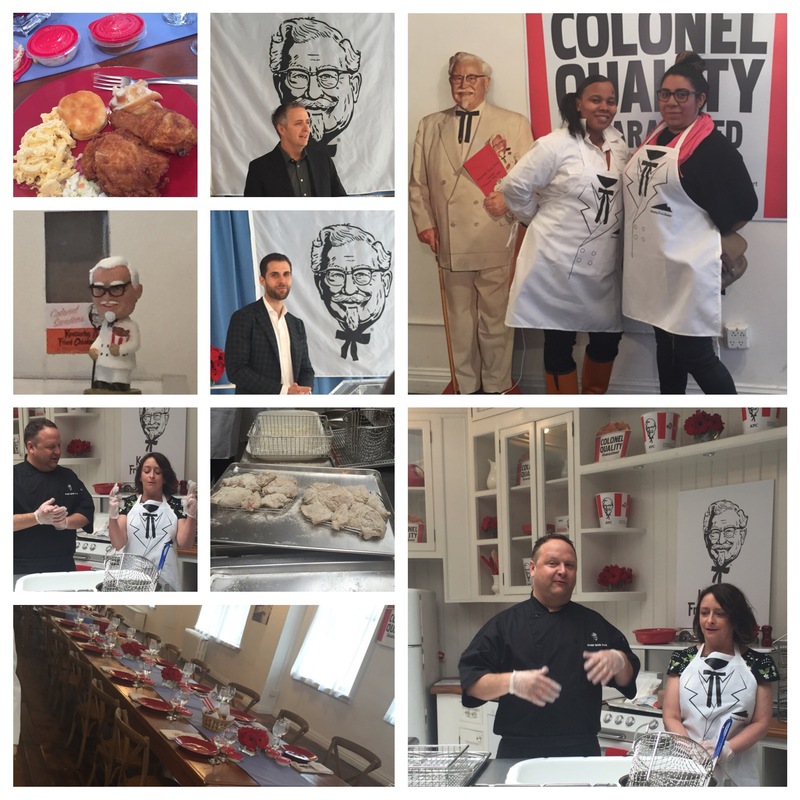 KFC kicked off its Re-Colonelization initiative by hosting 43 rallies across the country, with more than 97 percent of its restaurant general managers, followed by a national training event in each and every restaurant in the country – all in an effort to retrain every single KFC employee on cooking the world’s best chicken. This is not the first step in KFC’s turnaround, which started in earnest last year with significant reinvestments in updated restaurants, increased marketing spend and new equipment. 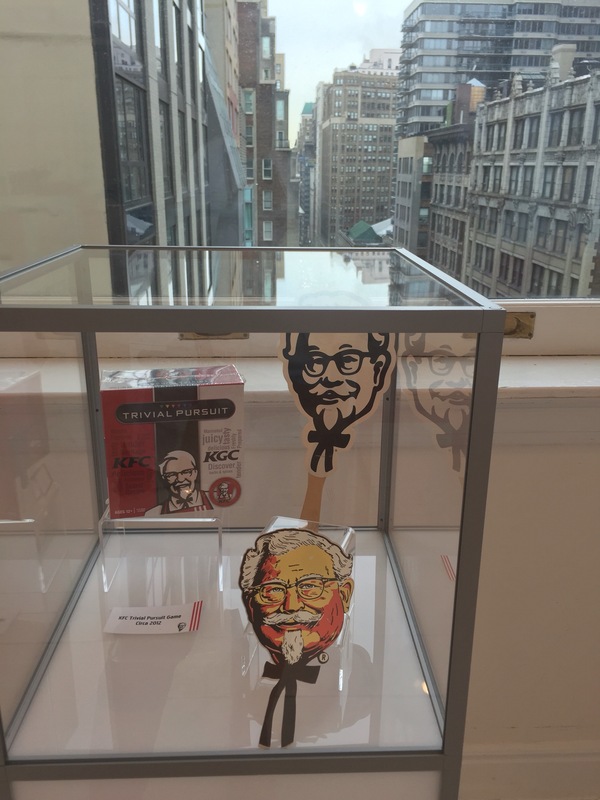 Specifically, KFC has updated kitchens with state-of-the-art equipment in 98 percent of its restaurants, set a bold goal of remodeling 3,000 restaurants over the next three years, and launched its new advertising campaign featuring a reintroduction of the Colonel. 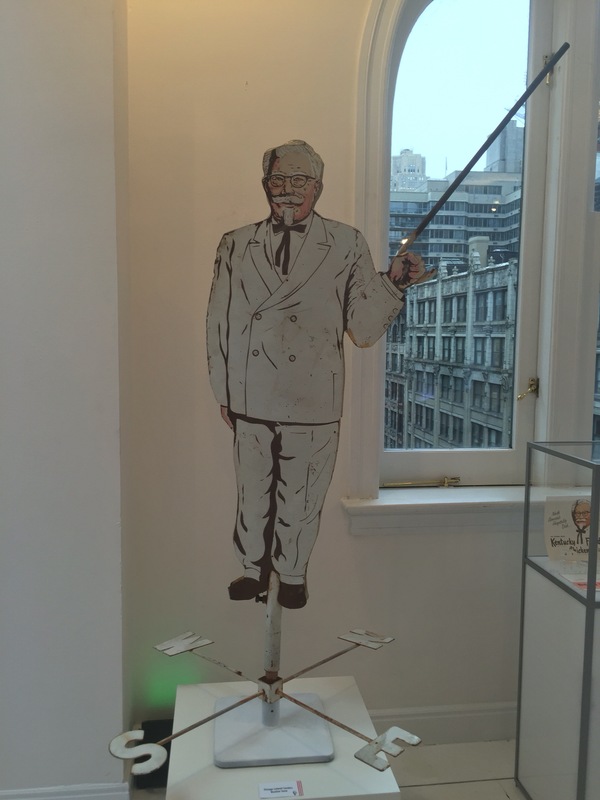 Re-Colonelization continues KFC’s journey to becoming no. 1 on taste by the end of 2017. I do appreciate KFC still being around and continuing to keep everyone coming back for more. I do wish they would bring back the Chicken Littles, those were so good. I do miss those but as long as there’s chicken and biscuits I’m good. 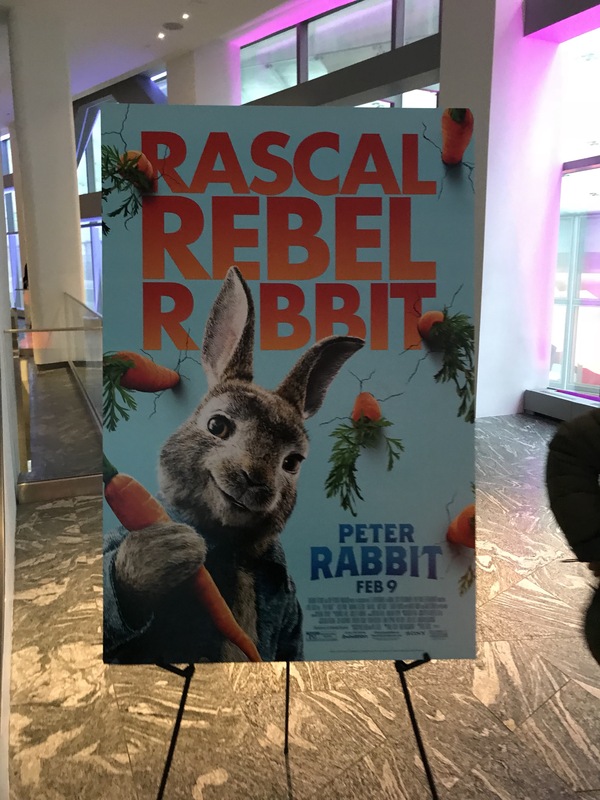 I enjoyed attending the event and learning how the chicken is made with Chef Bob Das and actress @RachelDratch. I might not have the secret tripe but seeing the process was fine for me. The best part was being served lunch. The chicken just kept coming. I also enjoyed taking a picture with the original suit that Colonel Sanders wore. Grease stains and everything it was the real deal. I’m probably bringing home a bucket of chicken tonight because I’m craving some at this exact moment. Disclosure: I was invited to the event. Opinions are mine 100% as always. Swag was given. Three words I like, Food, Sale and Deals. You can find these three words below because Restaurant.com has a big Sale going on right now for dining out. Spring has sprung! 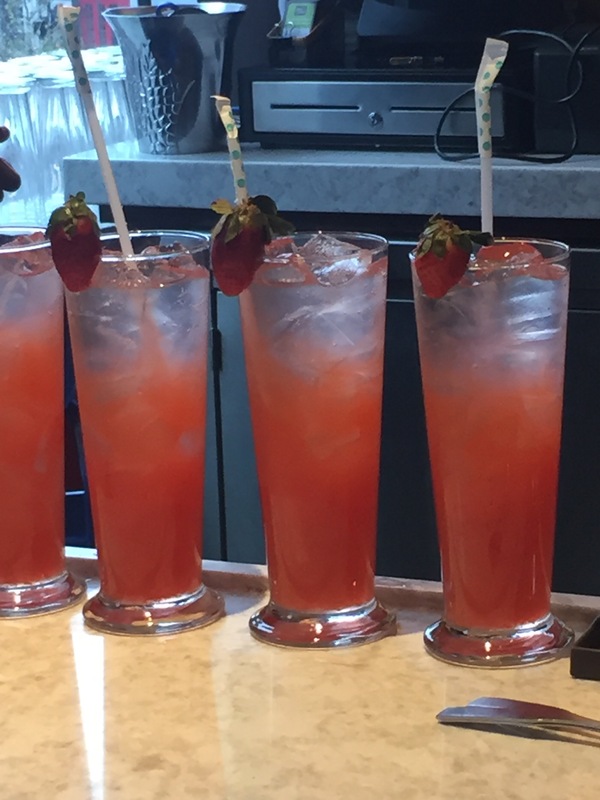 There’s no better way to celebrate than taking the family to enjoy alfresco dining and fruity drinks. 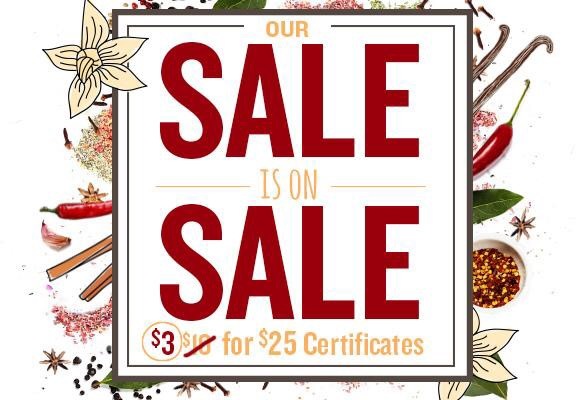 To bring in the new season, http://restaurant.com is serving up $25 Certificates for only $3 with Promo Code: SALE. 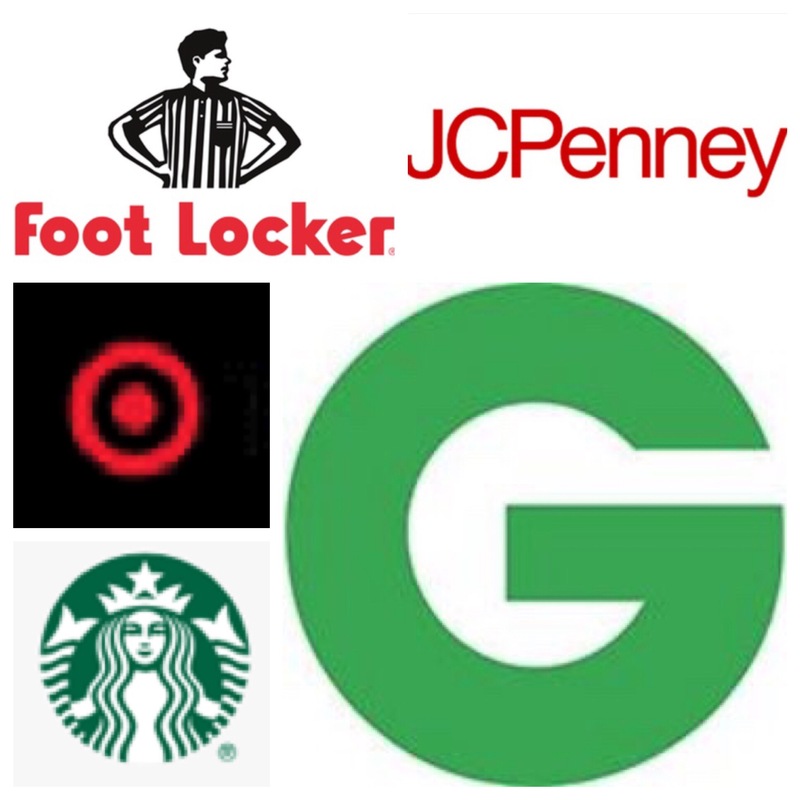 All their other deals are on sale too! For example, grab a $10 Certificate for just $1.20. I know a deal when I see one and this is one that everyone should jump on. Think of the holidays coming up or just wanting to eat out and how these certificates will come in handy. They even make great gifts. Finding a deal has never been easier! Search http://www.restaurant.com by location, cuisine, price range and more, to find exactly what you want, where you want it! Hurry! This $3 sale won’t last. Visit http://www.restaurant.com today for amazing deals on delicious meals. This offer ends Thursday, March 31 at 11:59 pm CT. Categories Family, Food, Restaurant, Sponsored Post, What's Going On? 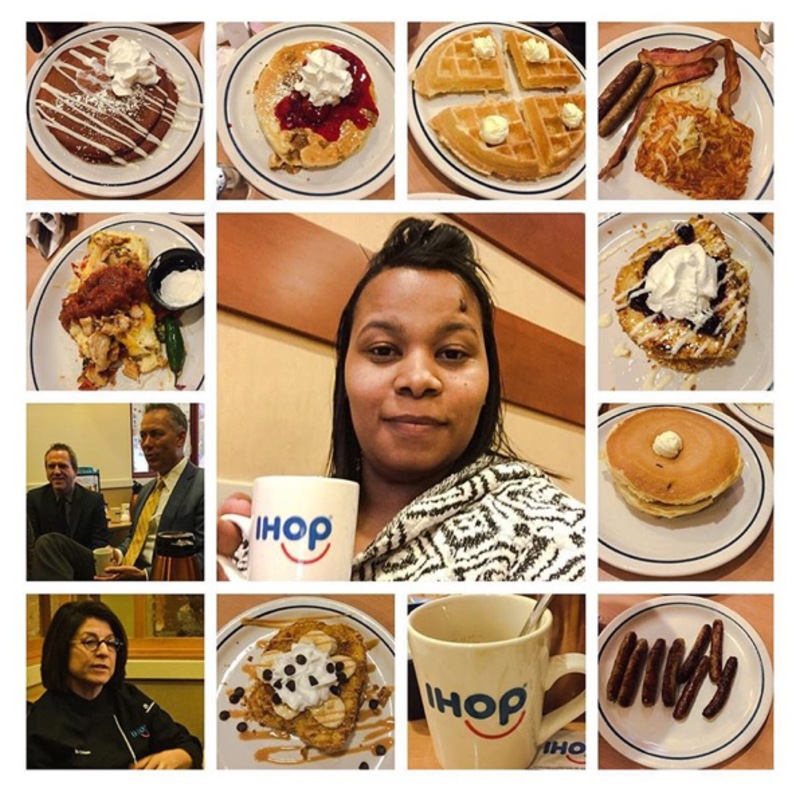 I had the pleasure of attending the Bloggers Breakfast at IHOP. As a fan I was not passing this up. I love the fact that we can have breakfast anytime of day when I walk into IHOP. I also make breakfast for dinner at home but like to treat my family to IHOP. Have IHOP any day. Easter is also a great day to head to IHOP for brunch. Try out their amazing selection of food like pancakes, waffles, and their french toast. IHOP announced the return of their delicious Double-Dipped French Toast! This year IHOP is rolling out two new flavors, Blackberry & Vanilla, and Banana, Peanut Butter, & Chocolate. Craig Hoffman, IHOP’s International Director of Communications and President Darren Rebelez were in attendance and spoke about IHOP’s culinary edge, the family-friendly environment that makes the restaurant a local favorite, and their commitment to serving the communities in which they operate. • Blackberry & Vanilla – Thick slices of Brioche bread dipped in our vanilla batter, then in cornflakes and oatmeal, griddled, and topped with plump blackberries and drizzled with vanilla sauce. 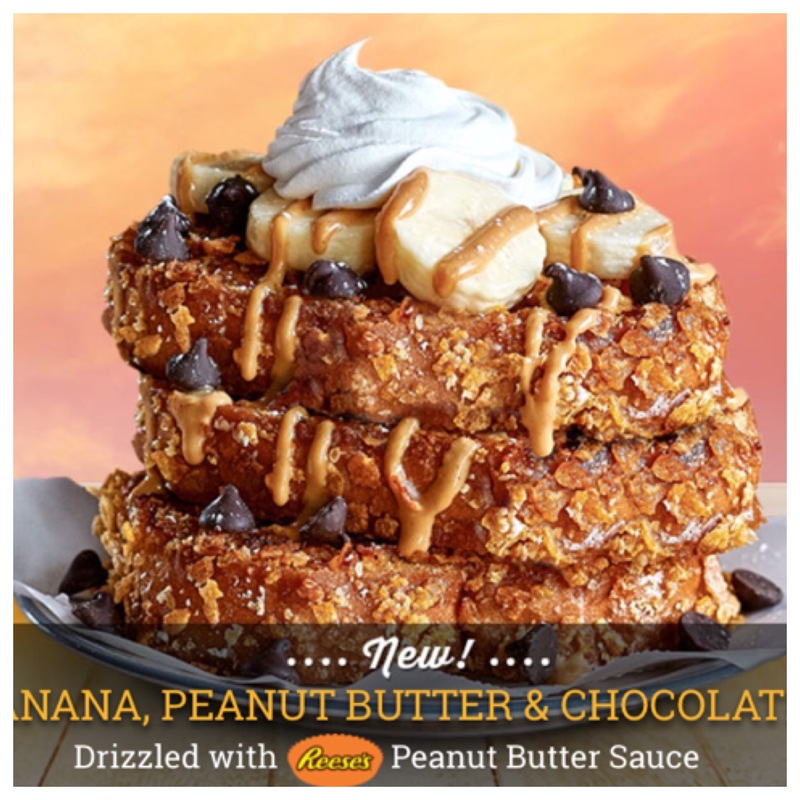 • Banana, Peanut Butter & Chocolate – Thick slices of Brioche bread dipped in vanilla batter, then in cornflakes and oatmeal, griddled, and topped with sliced fresh bananas, chocolate chips and a drizzle of peanut butter sauce. 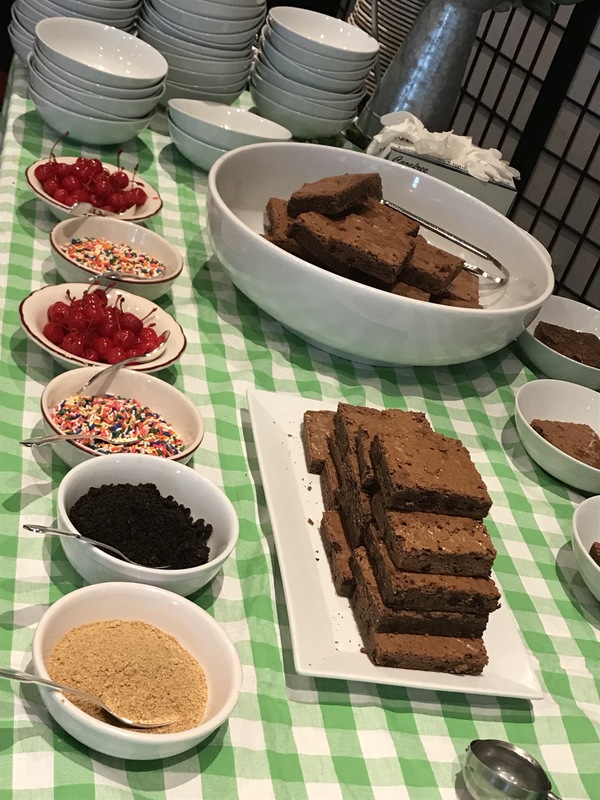 “Double-Dipped French Toast became an immediate fan favorite when we introduced it last summer, so it was a natural choice to come back to the menu in two fresh, new flavors, “ said Marie Grimm, Vice President, Menu Development and Innovation, International House of Pancakes, LLC. 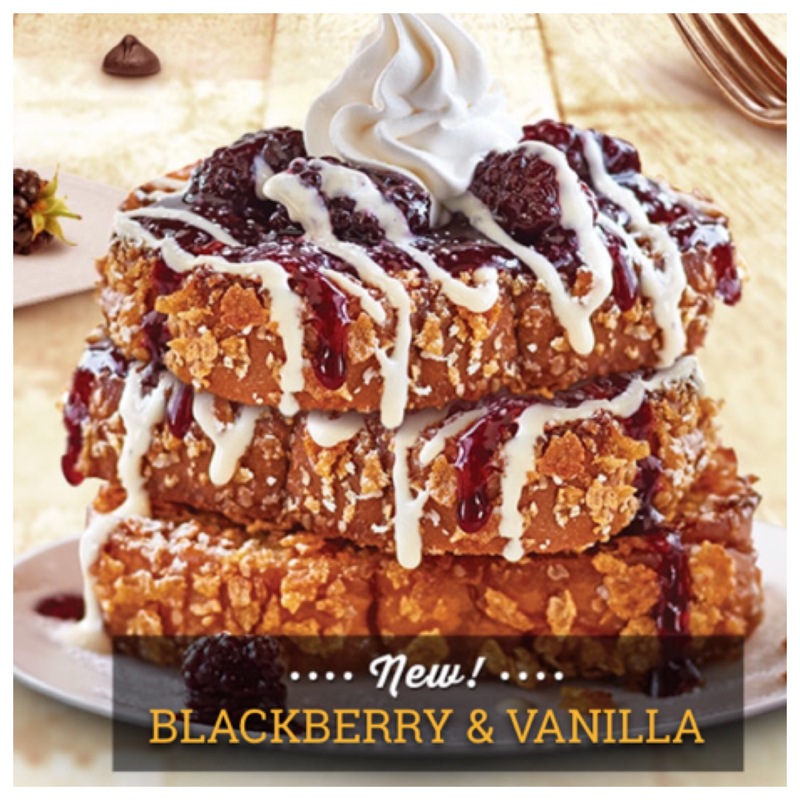 “The combination of the unique texture of our Double-Dipped French Toast with these exciting new ingredients will create even more fans of this terrific treat, perfect for breakfast all day or night! Guests can enjoy two slices of hand-crafted Double-Dipped French Toast any time of day as part of a combo with eggs, done the way they like them, their choice of crispy bacon, pork sausage links or a slice of grilled ham, and IHOP restaurants’ signature golden hash browns; or as an entrée stacked three slices high. 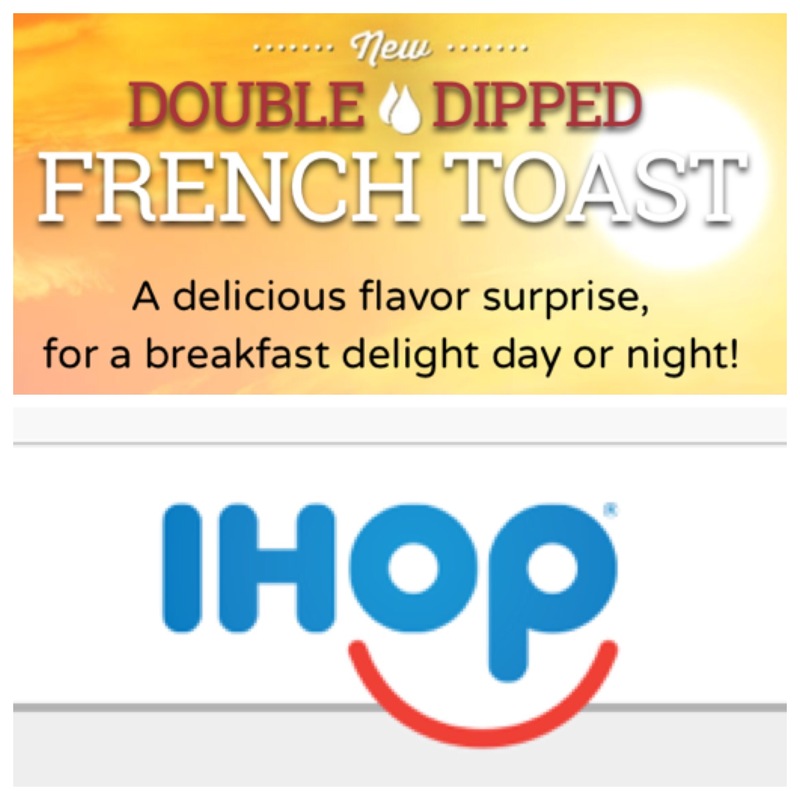 Double-Dipped French toast will be available at participating IHOP restaurants between February 15 and April 10, 2016. For over 57 years, International House of Pancakes, LLC has been a leader and expert in all things breakfast and a leader in family dining. 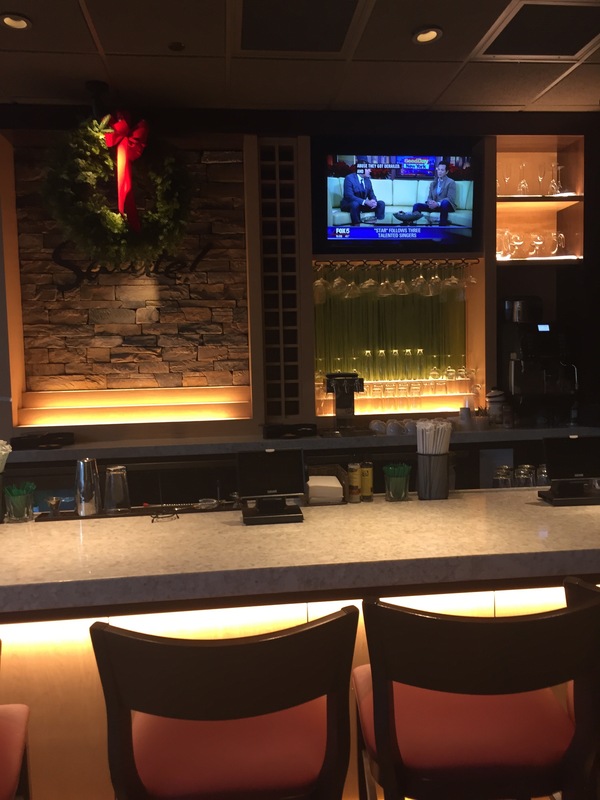 The chain is highly competitive in its menu offering, serving 65 different signature, made-to-order breakfast options as well as meals under 600 calories. 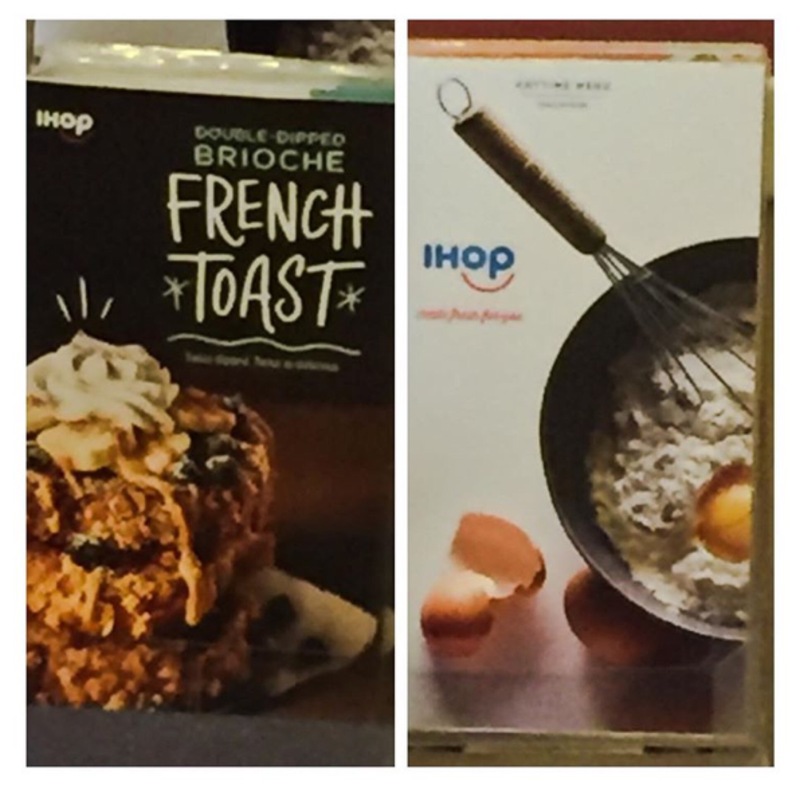 Beyond offering “everything you love about breakfast,” IHOP® restaurants have a wide selection of popular lunch and dinner items, as well. 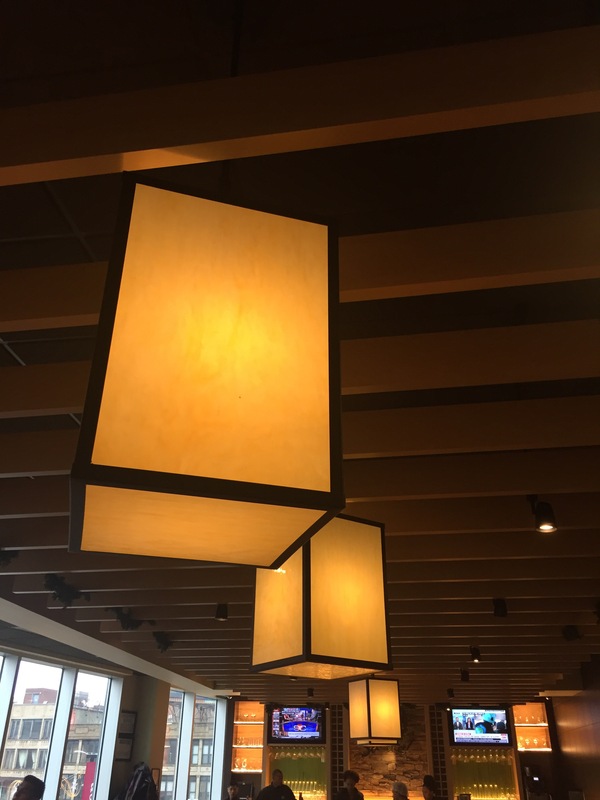 IHOP restaurants offer guests an affordable, everyday dining experience with warm and friendly service. As of September 30, 2015, there were 1,667 IHOP restaurants in 50 states and the District of Columbia, as well as in Canada, Guatemala, Mexico, Puerto Rico, the United Arab Emirates, Kuwait, the Kingdom of Saudi Arabia, Bahrain, Qatar, the Philippines, Guam and the U.S. Virgin Islands. IHOP restaurants are franchised and operated by Glendale, Calif.-based International House of Pancakes, LLC and its affiliates. I enjoyed stuffing my face and meeting with everyone and learning about why IHOP is successful and how menus and recipes are created. The food is always enjoyable. Staff was great as always since the 14th St location in NY is my regular spot anyway. Head to your local IHOP today. For more info visit: http://www.ihop.com and @ihop on Instagram and Twitter. Disclosure: I was not compensated for this post. I was invited to attend the breakfast. Opinions are mine 100% as always. Categories Blogger Event, Cooking, Family, Food, Fun, Invitational Event, Recipe, Restaurant, What's Going On?